This breakthrough cream is medically formulated to be applied topically to the skin, helping restore and protect severely dry, cracked, and painful feet. FootMedix works by stimulating and fortifying new skin growth — to promote increased circulation, eliminate pain, and give you stronger, smoother skin. Rejuvenate skin with each use — for healthier, more attractive feet. 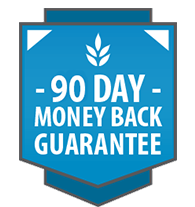 FootMedix comes with our standard 90-day refund guarantee. So if you’re not satisfied with your results, just return the bottle within 90 days — even if you used it all — for a full refund. No questions asked. Guaranteed. Because it’s our priority to ensure a risk-free experience for our valued clients. Is FootMedix suitable for everyone? Yes. FootMedix is for anyone with dry, cracked, and painful feet. Within minutes of applying FootMedix, many report a significant improvement in circulation and notice a youthful pink skin tone. Plus, with each application, FootMedix softens and strengthens the skin over time. However, FootMedix is not designed to be a substitute for medical treatment. What makes FootMedix different from other creams? 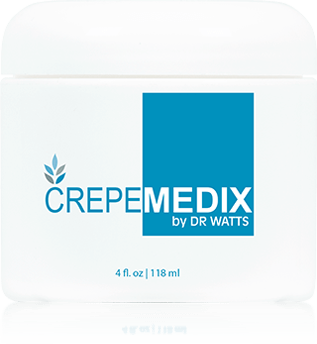 FootMedix is a revolutionary skin repair formula unlike any other. Compared to our competitors, FootMedix contains the powerful antifungal, perspiration blocker, Dimethicone, at a whopping 4% — higher than the industry standard. 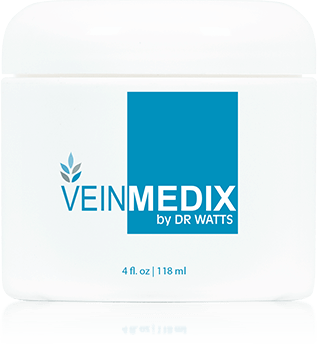 Additionally, FootMedix contains hEGF (human epidermal growth factor), a Nobel Prize-winning ingredient that dilates the blood vessels, vastly increasing blood flow. FootMedix also contains deeply moisturizing Shea Butter and antibacterial Tea Tree Oil, making it an incredibly effective — and affordable — solution for rejuvenated, healthier, more attractive feet. Please click on your star rating. Please enter a subject or title for your review. Please enter your name as you wish it to be displayed. Please enter and verify your email address. This product has softened away a painful corn I have had for three years between my 4th and 5th toes on my right foot. Within two applications I noticed the corn was changing. By the end of the first week of morning and evening applications I was able to get rid of my "survival"corn cushions!! I am now able to wear my dress shoes again without excruciating pain!! I am a doubter by nature but this product has restored my faith in at least ONE Dr!! Thank you Dr. Watts and team!! Most of the time, products like this don't work. But this really WORKS! I have had horrible feet for a long time. I tried this for 3 weeks and the difference is amazing. I am sandal ready and its not even summer! My feet are not perfect yet but vastly improved and I am sure with continued use they will continue to improve. I was skeptical. Just had foot surgery and the healing power is amazing. Relief from scar pain, as well as dry cracked feet. Don't waste time, BUY THIS PRODUCT!